When we talk of revamping of any brand, even the product changes and refreshing them also falls under revamping. Domino's Pizza, the market leader in the organized pizza segment, also unveiled its most significant product refresh with an across the board enhancement of its pizzas. Domino's Pizzas will now sport a new look and come in an attractive blue and white packaging that highlights the changes. Even after these improvements, the price of Domino's pizzas will remain unchanged and this will help deliver better value-for-money to customers. Talking about the new launch, Pratik Pota, CEO, Jubilant FoodWorks Limited informs: ‘Earlier in the year, we had unveiled our new strategy for driving sustainable, profitable growth. The key pillars of these were Product Improvement, Value For Money, Seamless Customer Experience and Superior Technology all enabled by a focus on cutting costs and driving efficiencies. Now, we will be investing nearly Rs.100 crore behind the upgrade. We believe that the vastly improved product will help both drive frequency amongst existing customers as well as attract new ones, and thereby expand the Domino's franchise and help growth in the market". Few days ago, Hindware, India’s bathroom products brand, redefined its brand identity with a new promise ‘Start with the Expert’, and a new azure symbol of expertise ‘HW’. The company also unveiled their super-premium brand Alchymi curated by India’s leading designer Manish Malhotra. Further, the brand inaugurated its state-of-the-art revolutionary concept store Lacasa in the upscale area of Vile Parle, Mumbai. Manish Bhatia, President, Building Products Division, HSIL Limited, informs: ‘Hindware has long established itself as an expert in the business of what we do. To reinforce this amongst our consumers and to aid them in their journey with our brand, we decided the time was ripe to strengthen ourselves further based on our long legacy of excellence. The seven new pillars through which this expertise will be brought alive include the Expert Helpline, Hindware DreamBath App 2.0, Expert website, State of the art Hindware Design studio, Digitally integrated brand stores, Hindware in-store consultants and Hindware DreamBath Book V2. Through these initiatives, we are not only expanding our footprint, but creating a space for our consumers to explore, with our expert help, the perfect fit to their tastes, preferences and lifestyles.’ So, it is very clear that rebranding for any brand can be a troublesome project but the final output can surely deliver significant commercial benefits. 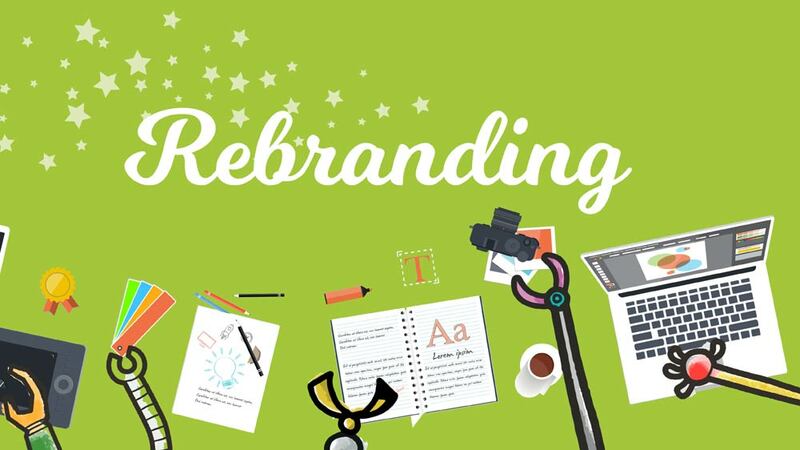 Rebranding or a new logo can bring a life to your entire brand and give the brand a new reason to work successfully with focus in all directions.